Cook for a few minutes until softened, then add in the Kidney Beans, Tomato, Jalapeños and Seasoning. Cook for around 5-10 minutes until soft. Keep stirring with a wooden spoon to prevent sticking! Divide the filling onto each wrap (only one half) and follow with grated Cheese. Fold over the tortilla wrap. Cook for around 5 minutes or until lightly brown and the cheese has melted! 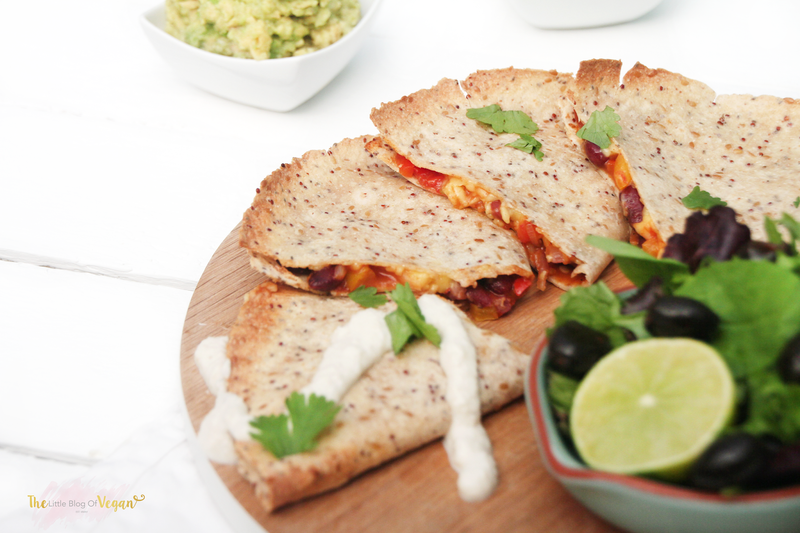 Cut the Quesadillas in half, and serve whilst warm with a drizzle of the Sour cream, Salsa, Guacamole, Lime Juice, fresh Salad, Olives and fresh Coriander. 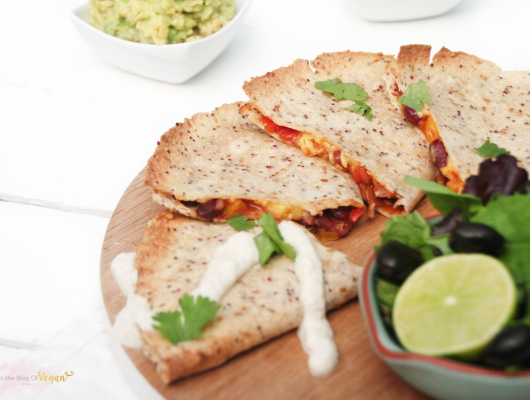 The best Vegan & Wheat-free Quesadilla recipe, served with fresh Salad and homemade Mexican sides!